The story of Modwright is not so different from many others. Its owner, Dan Wright, started with modifying products of other brands, and finally he decided he was ready to offer his own products to the customers. The mods he offered (in fact he still does) included adding to Sony, Transporter, and later also Oppo players a tube output stage. So it wasn't a real surprise when the first own products of Modwright were tube devices – preamplifiers (the top model even with separate, also tube, power supply) and a phonostage. From the very beginning manufacturing its products inland, and not in Asia, was the philosophy of this company. The other part of company's philosophy seemed to be reasonable prices that combined with great quality and remarkable sound „branded” Modwright brand-name with great price/quality ratio. Some wondered how it was possible considering that the devices were manufactured in USA. Many audio fans often complain about products being either too expensive or offering poor quality due to savings in production. 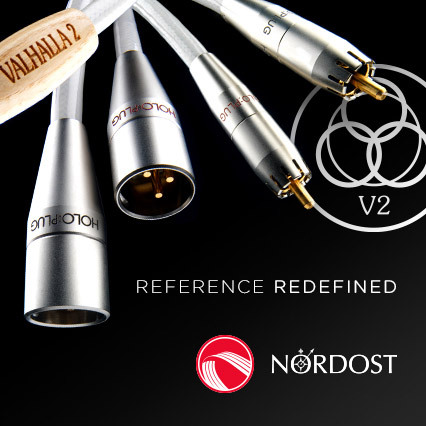 It is possible, as Modwright (or Schiit Audio, and some others) proved, to make smart savings in production costs, that still allow to offer reasonable price without any compromise in performance. It is not such a big problem to put most of your devices in the same enclosure, is it? And if you do, buying/manufacturing say 1000 pieces of given enclosure will cost you less then 300 of one kind, 400 of second, 100 of third and 200 of fourth, right? It is as simple as that. On the other hand Dan Wright keeps his designs simple – I think he uses just two sizes of enclosures (most devices fit in smaller and only KWA 150 needs bigger one), and they are everything but fancy. No dozens of blinking LEDs, no several switches, buttons, no cosmic displays, writings and so on – you find here only what's really needed. OK, one exception, or two maybe (probably mostly because of Far East customers who love this type of things) – a backlit logo, and some LEDs inside casing (in power amps, that, fortunately, can be switched off), plus the option (that is charged additionally) of ordering Modwright devices in black. I would rather not see those LEDs inside, but I realize that it's quite popular these days – some manufacturers install LEDs even in tube equipment... (even a highly reasonable guy like Tom Willis from ArtAudio does that). 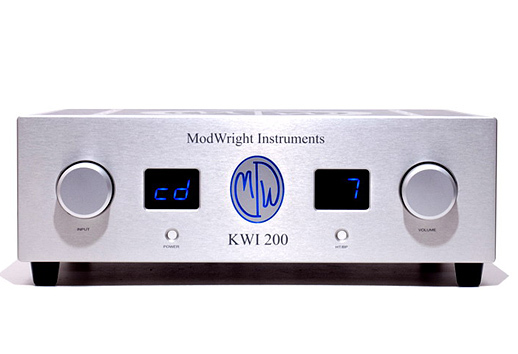 I've been a proud owner of Modwright's KWA100SE power amp and LS100 tube preamplifier (both black, yes!). To be honest when I, a valve fan, became a reviewer I realized that I couldn't be one with only 300B SET. But I needed some solid-state amp that would not only drive most speakers that came for review, but also sounded in a way that would please me. The reason I chose Modwright set (except for reasonable pricing) was the sound it offered, with one of the best, richest midranges I've ever heard from (at least reasonably priced) solid-state. Surely part of a credit goes to a tube preamplifier, but also power amp doesn't offer perfectly neutral, but rather slightly warm sound. That's why I liked its sound and for reviewer's purposes all I had to do was to slightly bias that warmth. That richer, smoother, bit warmer sound was also a reason why I chose SE version over regular (no SE) one. The latter offered too „cold”, too „dry” sound for my taste, and I doubted I would listen to it with pleasure over longer periods of time. LS100 on the other hand might be the least expensive preamp in Modwright's portfolio today, but ever since I have it, it never stopped amazing me with its remarkable sound (especially since I replaced stock tubes with better ones). Plus LS100 was also the first of Dan's even cleverer devices, that might be equipped with optional expansion cards to be installed inside – a MM/MC phonostage or D/A converter. Sure there are companies that have been doing it for a long time, like Accuphase for example, but it doesn't mean it is not smart to do the same thing. To be honest when I bought my LS100 both optional cards were still at „work in progress” stage, so only recently I had a chance to listen for couple of days to this new phonostage, that worked and sounded great! But until now I didn't have a chance to check out the DAC. Fortunately KWI200 is based on the same idea – there are optional expansion cards with phonostage (although solid-state one) and DAC. And for the purpose of this test I received an amplifier equipped with both additional devices so I could test them too. The KWI200 is the newest Dan Wright's baby – the first integrated in (not so long) company's history. I've been reading news about this product before it was actually introduced to the market and for whatever reason I drew my own conclusion, that it would be and integrated combining LS100 with KWA100 (or SE). What it really said, I think now, was that the sound should be the same, not the design, as the KWI200, as I discovered only after it was delivered to my place, was a strictly solid-state device. No wonderful valve glow then... That's also how I realized that the phonostage must be different from the one installed optionally in LS100, as that one was a tube device. My fault – I did not ask details of the device before the Distributor delivered it to me, but on the other hand I studied Modwright's webpage and information about those optional D/A converters and phonostages for LS100 and KWI200 are really scarce there... Maybe Dan could do something about it? Big Joe Maher, Mojo, Wildchild!, 02352, CD. Bobby Battle Quartet, The offering, Mapleshade, 01332, CD. Kari Bremnes, Ly, ais, B001PK3LZ0, CD. Midnight Blue, Inner city blues, Wildchild!, 09352, CD. Miles Davis, Sketches of Spain, Columbia Stereo, PC8271, LP. Verdi, Il Trovatore, RCA Red Seal 74321 39504 2. As I already mentioned, or at least suggested, KWI200 uses the same size casing as KWA100/SE or LS100. Obviously it differs in small details, but dimensions are the same. What stroke me first, when I saw this amp was a symmetry. Two large knobs (volume control, and input selector), two push buttons (on/off switch and home theater bypass) and two... displays. Especially this last „detail” is what makes this device different from most competitors. First of all they display LARGE signs, that are EASILY readable even from large distance, and that's an obvious advantage. Secondly there are two separate displays... OK, I'll leave that to your taste, but I'd rather had a single display, maybe split in 2 parts, but still a single one. But that's just me. Luckily for me I could use a magic button on the remote control (to be clear it's the one named ... standby – it's because that's the same remote as used for LS100, and possibly some other devices too) and turn displays off, so they stopped bothering me. Before I did that I could (very clearly) see that one of them displays actual volume, and the other showed me which input was active at the moment. Of course the front panel sports one more element – a backlit logo, but that's it – no other fancy details. The back panel looks definitely „richer”. Solid, gold-plated speaker bindings are placed close to both edges – left and right respectfully, and the power inlet sits exactly in the middle. All other ins and outs are gathered in 2 groups. On the left side there are 3 pairs of linear (RCA) inputs, a pre-in, and a XLR input. On the right there are 12V trigger outputs, a pre-out, and, if installed, DAC's and phono's inputs. One of the clever and really handy features, that I don't think I've seen in any other brand's products, are two sets of inputs/outputs description – one placed below and one above sockets. The latter is upside down so can be easily read when you bend over the device. Simple, clever, costless and convenient. So why nobody (or almost nobody) else does that? As I already mentioned this device can be remotly controlled, and it features exactly the same remote as LS100 – smart saving again. So except for a backlit logo there are no fancy, sound unrelated features, but there are some, costless that are simply convenient for a user. And these small things also played their role when I chose Modwright's devices for my reviewers system. There were few stages of my test. I started using KWI200 as an integrated amplifier with a computer connecter as a source via Lampizator USB transport and TeddyDAC on one hand, and Salvation with ESELabs phonostage on the other. The intention was clear – to compare it with my KWA100SE + LS100 rig, that might be treated as alternative, although bit more expensive one. One advantage of KWI200 is obvious – almost double the power (200W vs 130W into 8Ω), but in my case, with Bastanis Matterhorn it didn't matter at all, and as I was about to find out, neither it did with Ascendo C8 Renaissance. No doubts with some really difficult loads it will matter. How does KWI200 sound? I would say, it sounds like... Modwright. What does it mean? Dan Wright's amps are solid-states but they sound more like tubes, or maybe class A transistors. Which means they are very likable even for tube fans like me. There are some attributes of the sound that make that happen – slightly warm, rich and smooth midrange, punchy, well extended, but rather bit rounded bass, and last but not least open, detailed, strong treble, that is crisp but without any hint of risk of brightness (unless you play some poor recording of course). All way back to the top of Modwright's portfolio, each amplifier seems to have the same set of attributes, adding only even more goodies on top, making sound more and more sophisticated, more liquid. Considering the fact that for now the KWI200 is the first and only integrated designed by Dan, there is no direct competitor, because each power amp has to be auditioned together with one of preamplifiers, and already the least expensive one, LS100, is damn good. But after this listening session if I had to make some assessment, I would say that sonicwise KWI200 is somewhere between KWA100 and KWA100SE, in my opinion of course. The SE version of KWA100 is a significant upgrade over regular version. When I was auditioning both of them to chose the one for myself, I found the sound of SE much more mature, more complete, better even then the sound of (non SE) KWA150 (although KWA150SE is another huge step up, no doubts about it) – I'm not sure if I should say that in public considering price difference between KWA100SE and KWA150... . To put it in another, simpler way – the combination of 100SE with LS100 offers, in my opinion, better performance than KWI200, but the latter wins when compared to KWA100+LS100 set (although I couldn't do a head-to-head comparison with this set). Why? Because even though it is a strictly solid-state amplifier it still delivers very smooth, colorful midrange, that keeps tube fan really happy. Yes, there is a price to pay – slightly warm, ergo not perfectly neutral sound – so what? Who cares if that's what makes this sound so natural, palpable, rich. Vocals are beautifully rendered with natural timbre, texture, with tones of emotions that make the performance sounding live-like. There is also a bonus – you don't need to be afraid of sibilants – Modwright will not „cancel” them, but rather make them more... likeable, or at least less disturbing, more natural sounding. Another strength of KWI200 is large, nicely layered soundstage, with lots of air, and precisely placed, 3-dimensional images of each instrument. Yes, there are some (more expensive) solid-state amplifiers that deliver even better defined 3D images, give them even more „body”, but that happens with amps priced 2-3 times higher. 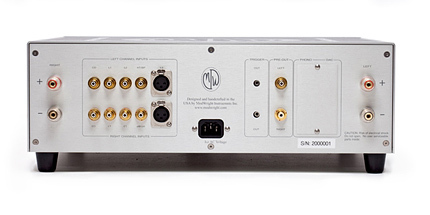 What's most important (surely for me) is that this integrated amplifier delivers liquid, musical presentation, that is so „listener-friendly”, relaxed, effortless, almost... tube like. Maybe I shouldn't have written that as it might discourage some solid-state fans, but these are facts – this is not a „classic” sounding solid-state amp. Music flows freely, breaths, there is fast attack and wonderful decay, reverberations, nicely relayed acoustic surrounding and so on. I really appreciated the way this amp presented small details, subtleties that often remain hidden behind the main events on the stage, but here being equally important elements of the presentation. Especially that it worked not only for details happening in the front, but also for those appearing deep into the soundstage. And even though this is a solid-state device the sound never got dry, which annoyed me a lot with many other devices of that kind.